It seems like yesterday, that I was working on transmissions in my garage at night. That spark of ambition paved the way for our new seven-bay, car center located on Witchduck Road in Virginia Beach. 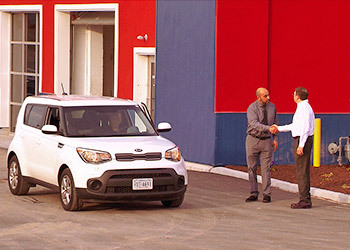 For over forty years, our team of experienced technicians, empowered by state-of-the-art technology, have been experts at getting you safely, back on the road and keeping you there. Thanks to you, our customer base has grown to include the cities of Virginia Beach, Norfolk, Chesapeake, Portsmouth, Suffolk and beyond. drive train services, diagnostic services and fleet support care. This is our mission. 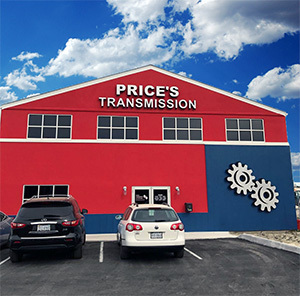 We at Price’s Transmission appreciate your business and friendship and look forward to serving you in the future. Integrity. Professionalism. Experience- or put it simply, good old fashioned know-how. And that’s know-how in every sense of the word- customer service, technicial expertise, and problem solving.I cannot think of one single instance where both Price’s and AAA didn’t work together with total satisfaction on both sides. It’s quite simple actually. Know what you’re going to do,do what you say, get it done when you say your going to. 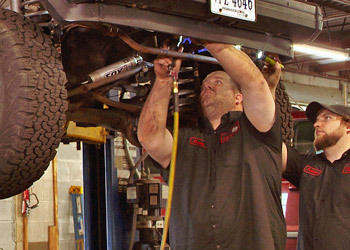 The entire staff at Price’s Transmission are the CREAM OF THE CROP. Thank you for taking your time to find the underlying problem with my Ford Explorer. It is very frustrating for a customer to have to go through a couple of different mechanics to find the right diagnosis. Once again your knowledge and your professionalism shined through. I really do appreciate your honesty and fairness. Many times in the last 30 years I have passed your business but seldom have I needed a transmission shop. Recently the transmission on my 36 foot motor home was giving me a program and I decided to give you guys a try. I could not have been more pleased. I was sure that the size of the RV would have present a problem. You and your staff made more than enough room so that the RV could be worked on without clogging up your business. The professionalism and friendliness you and your staff gave me was the best I have run across in the automotive repair business.